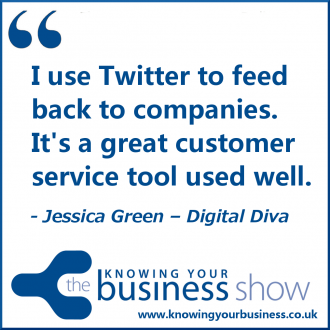 On this weeks show Knowing Your Business explored Twitter for Business. It it any good? Twitter’s origins lie in a “daylong brainstorming session” held by board members of the podcasting company Odeo. Micro blogging site Twitter was created in March 2006 by Jack Dorsey, Evan Williams, Biz Stone and Noah Glass and by July 2006, the site was launched to the world. 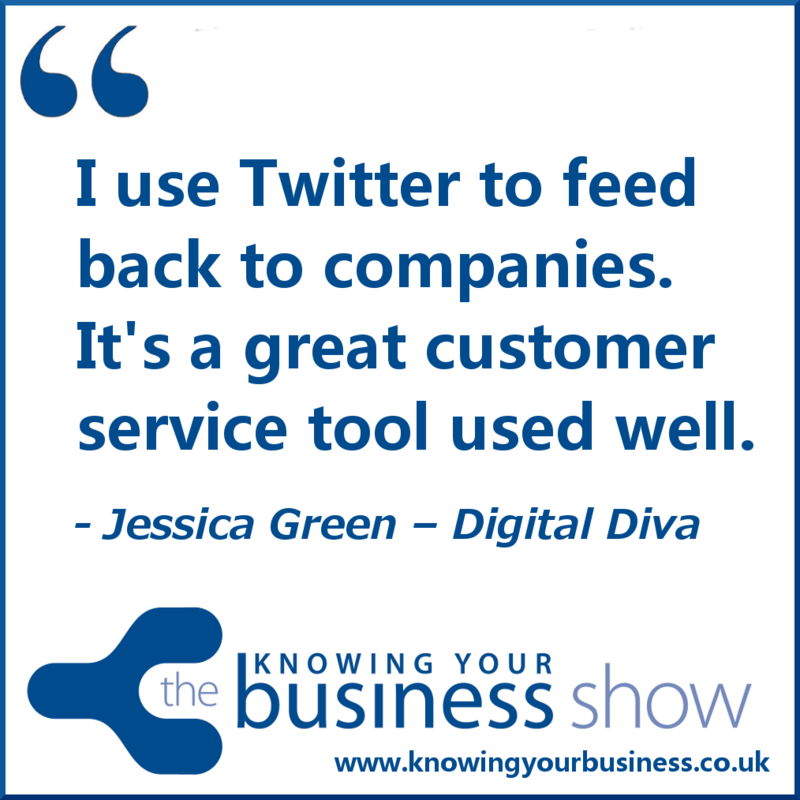 We asked guest presenter Jessica Green – Digital Diva for her thoughts on Twitter for business. Jessica helps businesses to GROW with Social Media and Digital Marketing. More about Jessica can be found near the bottom of the page. This week the Knowing Your Business show was presented by Ian Gentles and guest presenter Jessica Green. If you have any questions for Jessica, or would just like to leave a comment, please do.